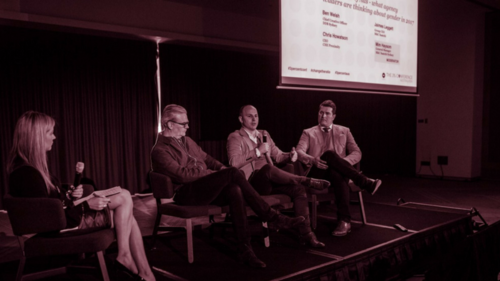 Recently I was lucky enough to attend the first 3% conference in Australia. 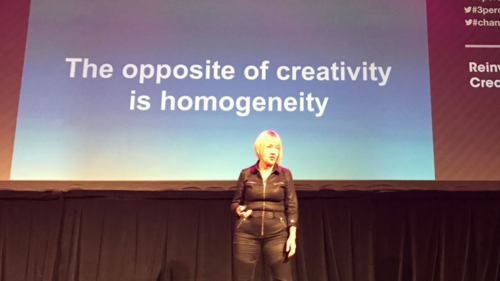 If you don’t know what the hell this is all about, it was born in the USA out of the fact that in creative agencies at Creative Director level, only 3% of CDs are female. Yes 3%! If you’re reading this you should be outraged. Whilst this stat is focussed on creatives, we know we have a general problem of gender inequality in the creative industry when it comes to management, leadership and board levels. This conference was to highlight the issues we face, arm us with facts & figures (to help us challenge the naysayers) and most importantly to inspire action and change. Here’s some of what I took away from the inspiring day. (I also want to clarify that this conference was specifically about gender equality. I’m a huge believer that if we’re talking about gender equality we should be talking about equality in general; gender, sexual orientation, religion, ethnicity, socioeconomic status, etc. Why not nail it all in one go?!). What we know is that gender equality is not an issue at uni and advertising school, it’s also not an issue for people coming into the industry and in the first few years of their career. In fact, we know in creative teams there is a pretty even split between males and females and in Account Management (which are the roles I focus on) it’s slightly skewed to females. The problem comes in the middle of women’s careers. And it’s typically because of one thing: Babies. Nappies. Sleepless nights. Maternity Leave. Most women don’t jump straight back to work after having children. Fair enough I say. 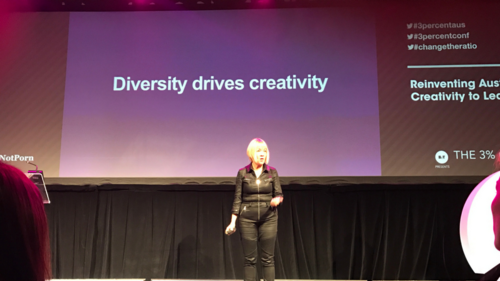 Less awesome women advance their careers in the creative industry. Gender inequality at the top. General human biases mean that we have a tendency to hire and promote those like us. Therefore if leadership teams are more male skewed they are more likely to hire and promote males thus perpetuating the issue. If you’re wondering if this is a bit of a fluffy, feel-good issue, let’s talk bottom line. 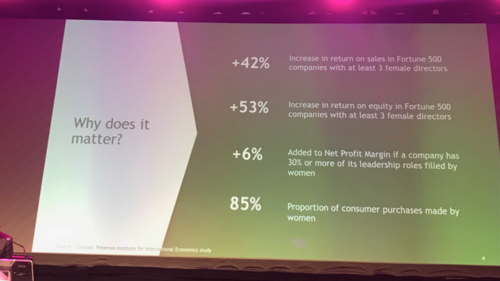 At the 3% conference, we heard many facts & figures from research all around the world which showed a simple fact; companies with strong gender equality at the board level are more profitable. On average 6% more profitable. Boom! But we also learned that everyone can play a part. Everyone can make change through micro actions, from the ground up. 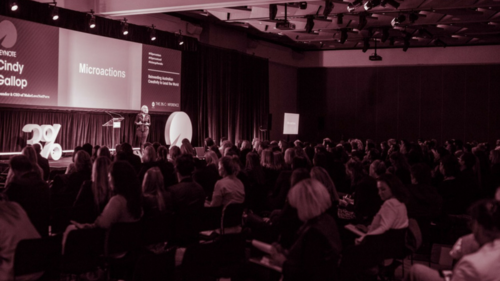 At one of the conference panels, we heard from M&C Saatchi and CHE Proximity about the micro actions they are already taking. CHE Proximity; full time pay for mums doing a 4 day week, not holding meetings at drop-off/pick-up times, training programs during maternity leave, re-boarding programs. They also referenced the DDB Phyllis project which is aiming for 40% of women on the board by 2018. A lovely ambitious goal! So readers, I hope you’re thinking about what micro actions you can take now. So am I. My job is all about getting the best talent into creative agencies. 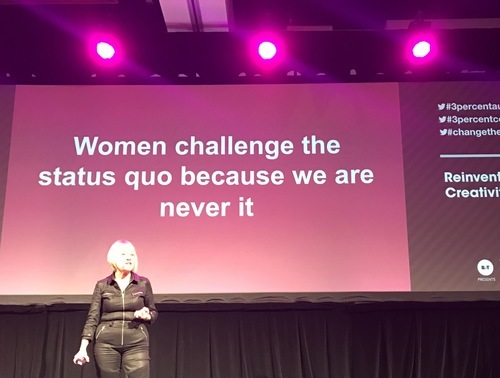 We are already looking at what we can do (blind CVs, more diversity training, pushing back on hiring managers, promoting flexible working, measuring changes with year-on-year stats) but there’s always more we can do. Jo Gobbo is a Senior Talent Consultant at iknowho.